More US Cities Are Pledging to End Traffic Deaths. When Will They Do The Same For Guns? Earlier this year, a new study revealed some shocking statistics: For nearly half of the country, gun deaths have outpaced the number of traffic deaths. In much of the US, you are now more likely to be killed by a gun than a car. In the wake of the mass shootings which have become almost a daily occurrence for the US, there are always stories equating the number of people killed by gun violence to the number of people killed by anything else. When these are things like natural disasters or terrorist attacks, it makes it seem like gun deaths are not necessarily preventable or perhaps outlandishly rare. Cars, on the other hand, are everywhere. And the fact that they’re just as universal as guns, but now killing far less people than they were before, is due to a localized public health solution that might also help to stop gun deaths in the US. Using Center for Disease Control data from 2013 (the most recent year for which data is available), the Violence Policy Center calculated that almost the same number of Americans were killed that year by guns as cars: There were 33,636 gun deaths and 35,612 vehicular deaths. In 17 states—Alaska, Arizona, Colorado, Indiana, Louisiana, Maryland, Michigan, Missouri, Nevada, Ohio, Oregon, Pennsylvania, Tennessee, Utah, Virginia, Washington, and Wyoming, plus the District of Columbia—guns killed more people than cars. And as the Violence Policy Center notes in its study, it is clear from the data trends that the number of states where gun deaths outnumber traffic deaths will certainly increase. This is because when you look at the CDC data trends over the last few decades, you start to see something disturbing. Traffic deaths have decreased. Since 2000, deaths from gun violence have steadily gone up. As the study notes, much of the reduction of traffic deaths (even going back to the 1950s) is due to federal safety regulations in vehicles. But the steeper decline over the last few years is because most American cities have gotten much more serious about preventing cars from killing their citizens—in fact, most major US cities have pledged to end all traffic deaths within 10 or 20 years. It’s an initiative called Vision Zero, and big US cities like Chicago, New York, San Francisco, Boston, Los Angeles, Portland, Seattle, San Jose, as well as dozens of smaller cities have adopted their own versions of this pledge. The important thing to know about Vision Zero is that it doesn’t necessarily mean taking all the cars off the road. It is a comprehensive, city-specific plan which might include policy changes, design solutions, and educational components to make streets safer for everyone who uses them. Some cities give themselves several decades to reach their goal. But the goal for every city is the same: Reduce the number of traffic deaths to zero. Vision Zero is already working in the cities which have embraced the new initiative. In fact, the idea is actually part of an even larger global trend, which started in several Swedish cities that were eventually able to achieve the zero-fatality goal. The key to success is not only health and safety regulations but it’s also looking at new technologies, from better street design to data-driven traffic flows to autonomous vehicles, to prevent injuries or fatalities. 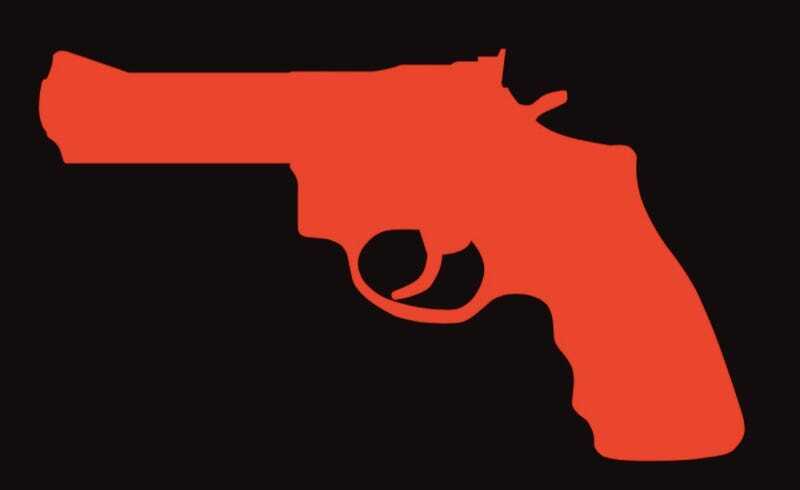 Where is the Vision Zero for gun deaths? Like Vision Zero for traffic deaths, Vision Zero for guns doesn’t have to be a federal policy—it can start local. Traffic laws already vary from state to state, as do gun ownership laws. Like the license needed to operate a vehicle, you’d still need a license to operate a gun. I don’t think a Vision Zero for guns would even mean banning guns outright at first: It means working city-by-city to eliminate all deaths from guns. The Vision Zero for gun violence could extend to law enforcement, too. If the city’s goal was not to kill anyone with guns, perhaps it would lead to serious reform in the way that police departments conducted investigations. Let’s be sure to note the obvious: Vision Zero for traffic deaths is controversial in the transportation policy world. Many believe it sets up cities for failure by promoting an unattainable goal. But without a goal in sight, it’s impossible to create a strategy to get us there. After every mass shooting, leaders put out the same statements over and over banning the specific gun that was used or pledging stricter purchasing laws. We just need the leadership of one mayor brave enough to set a goal of zero gun deaths and work to achieve that goal, whatever it takes. While it’s true that in many places in the US you’re more likely to be killed by a gun than a car, right now, more than half of the US population is living under a Vision Zero policy that believes cars don’t have to kill people. Neither do guns. There could not be a better precedent for eliminating gun deaths than the hyperlocal, hyper-specific Vision Zero campaign. So which US city will step up and be the first to decide that the only acceptable number of people killed by guns is none?